The first week of school holidays was relaxing. Everyone was winding down from a busy term, but now you've entered the second week and the niggles are starting. Tommy's 'accidentally' put Kate's Barbie Doll up a tree, just out of reach of the broom. Kate has perfected the art of making glasses shake by singing at the top of hear lungs. Basically, it's time to get out of the house before you all go mad. A 'day trip' sounds like the perfect antidote. Car conversations can be enlightening and great for 'family bonding' but it's always good to have a back up plan. Before you go, arm yourself with music or books to listen to, a few captivating 'car games' and a bag of Chupa Chups. 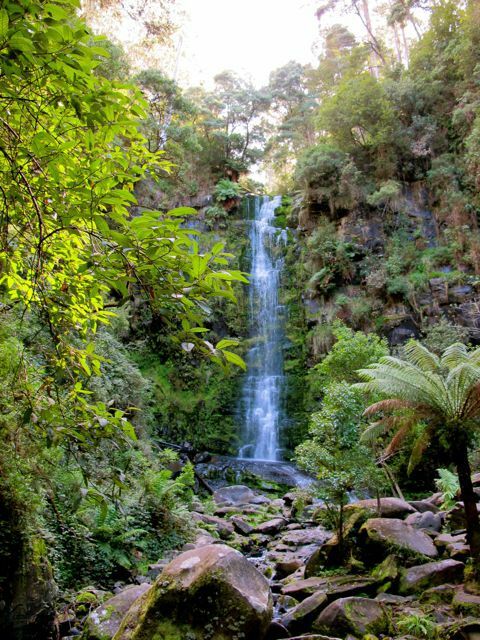 The Dandenong Ranges have much to offer in the way of outdoor and indoor spots to explore. If the kids need a break on the way up, the Montrose Community Playground is worth stopping at. When you arrive at the top of Mt. Dandenong you can see fantastic views of the CBD and enjoy a short bushwalk at Poor Man's Sky High. The shops in Mt. Dandenong, Olinda and Sassafras provide numerous opportunities to bankrupt the kids piggybank. 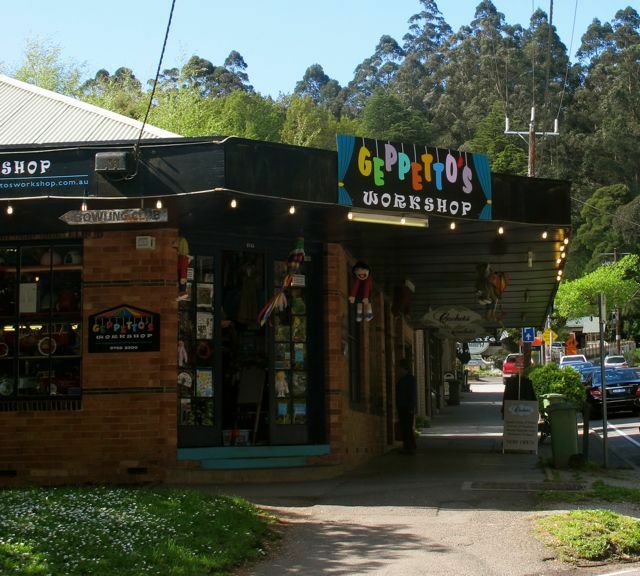 It's definitely worth checking out the range of puppets at Geppettos Workshop in Sassafras and Olinda. The National Rhododendron Gardens in Olinda has free entry and provides a wonderful spot for exploration and a family picnic. It takes about 1 hour to get to the top of Mt. Dandenong from the Melbourne CBD. Exploring the Yarra Valley with kids is a bit of a "Choose Your Own Adventure". There are many options, it's just deciding which road to take. Highlights of the area include the Healesville Sanctuary where you can come face to face with Australian animals and the Badger Weir Reserve Picnic Area. The towns of Warburton, Healesville and Yarra Glen are also worth exploring. Click here to find out about travelling times and directions. 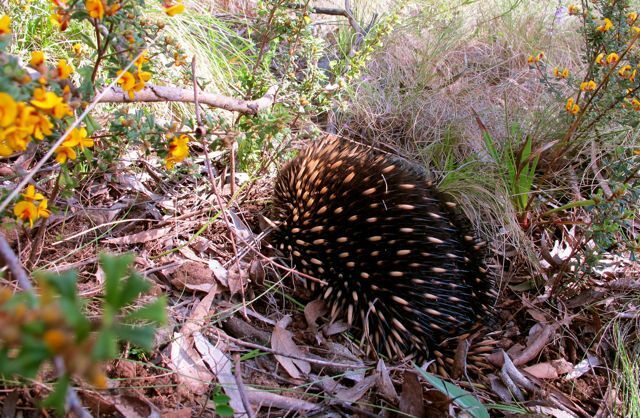 Discover Australian animals at Healesville Sanctuary. If one of your brood vomits at the first sight of a windy road, a trip to Ballarat on the Western Highway might be the answer. 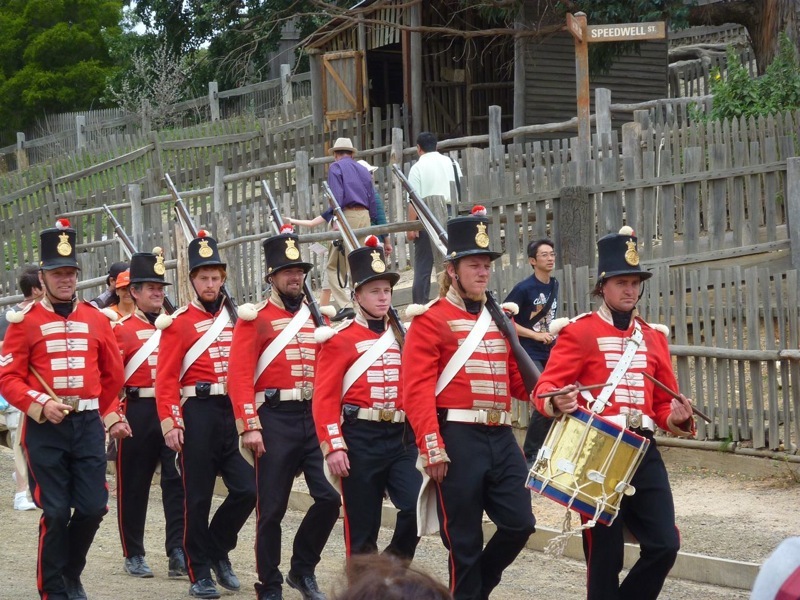 Kids can get their hands dirty panning for gold at Sovereign Hill. There's a chance to meet the animals at the Ballarat Wildlife Park. Ballarat is approximately an hour and a half by car from the Melbourne CBD. Explore the past at Sovereign Hill. 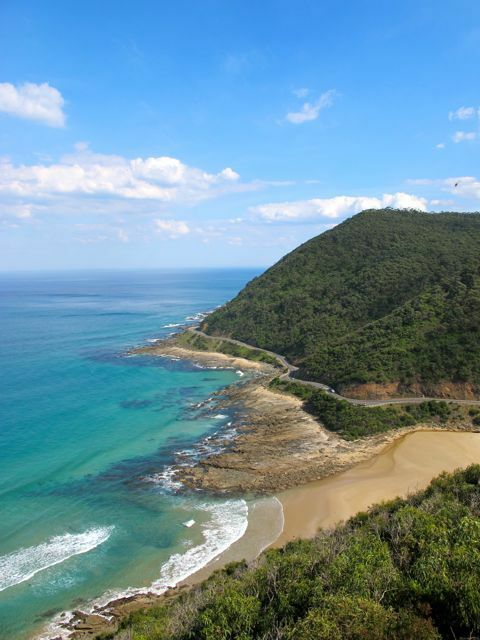 The Great Ocean Road offers a longer trip and is well worth the adventure. There are many places to stop along the way. Take your bathers and head to one of the beaches manned by surf life savers, visit Erskine Falls in Lorne and then head to the trampoline park on the foreshore. The Wye River General Store and Cafe is the perfect spot to take a break, there is a small playground to help keep the kids entertained. The Great Ocean Road starts in Torquay and it takes about an hour and a half to get to there from the Melbourne CBD. So, what are you waiting for? Mentally prepare yourself for the calls of mother nature which are going to stop you in your tracks, pack a bag of Chupa Chups and get moving. Why? To beat school holiday niggles. Geppetto's Workshop looks like a fun place to visit. Terrific suggestions, Gen - especially the non-vomiting straight-road option! Always a winner in my family! I'd also recommend Castlemaine as a fantastic day trip out - the botanic gardens there are fantastic. J.